To finish up our Parallel Lines unit in Geometry, we talked about equations of parallel and perpendicular lines. 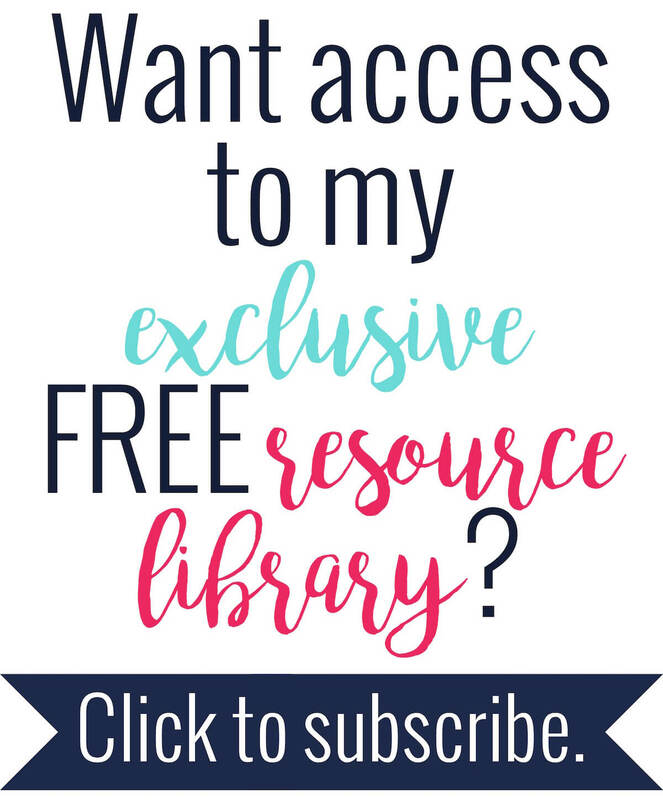 You can find the pages for the beginning of the parallel lines unit here. I always teach a review lesson about slopes of lines and writing equations of lines. I spend a whole day on review (they need it!). 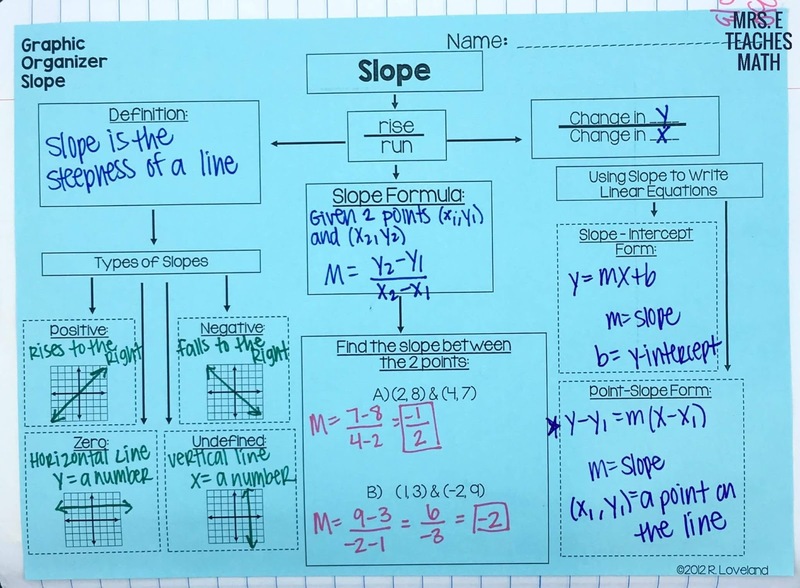 I used this slope graphic organizer from 4 the Love of Math and I really liked it. It covered everything I wanted my students to remember. The graphic organizer is a full page, but I copied it at 85% so that it would fit in the notebook. Next, I used my Writing Equations of Lines flip book. My students are still not very comfortable with their graphing calculators, so I included a few calculator tips in the margins. 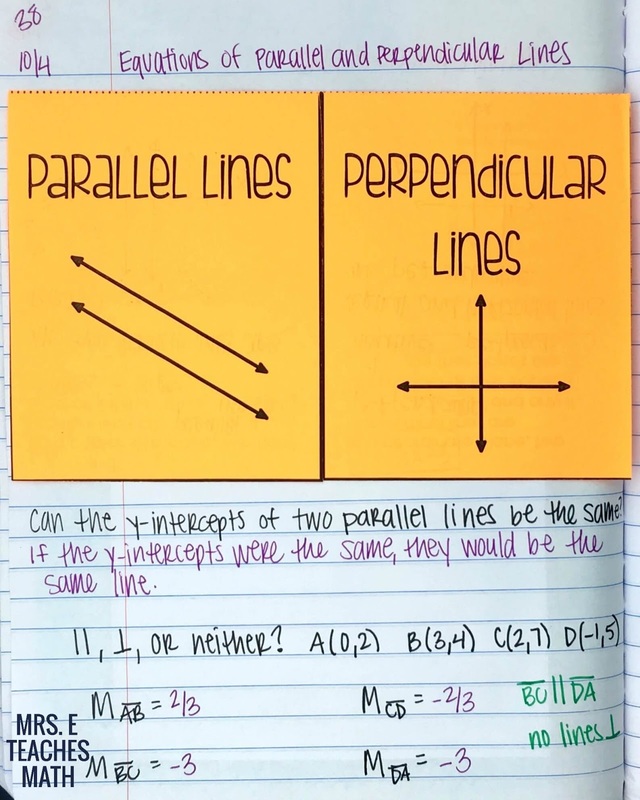 The last page of the unit was my Equations of Parallel and Perpendicular Lines foldable. Under each flap is an explanation about the slopes and a couple of examples. I also included some written examples at the bottom of the notebook page. The question that I wrote in was something my students couldn’t recognize in class, so I had them add it to their notebooks. I hadn’t planned on adding that originally. 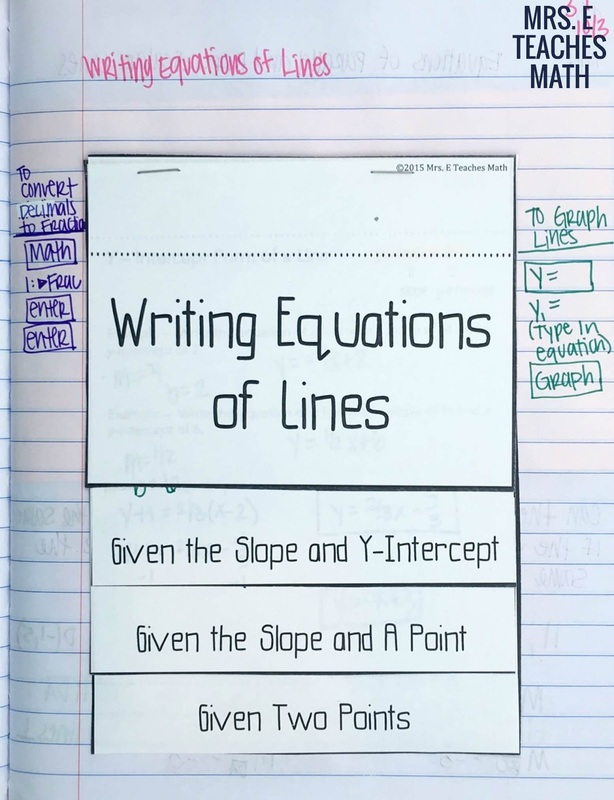 I think next year I want to add another page of practice with writing equations of parallel and perpendicular lines. However, I’m flying through notebook pages and I’m getting concerned that I’m going to run out! I don’t want my students to have a second notebook, so I’m trying to use my pages wisely.